Aether Revolt launches for Magic Online on January 25! New Aether Revolt Prestige Avatars coming! Ask us anything on the Magic Online Tumblr! Aether Revolt will officially arrive on Magic Online following the downtime on January 25. We will no longer be running Prereleases in Magic Online and will instead be launching directly into events. For details on the new release structure and what events will be available, check the announcement here. The first quarter of competition in the Magic Online Championship Series (MOCS) culminates on January 21 for the first Playoff Event of the series! Big prizes, the chance to move up the MOCS Leaderboard, plus invitations to the Magic Online Championship are all on the line in this event. Learn more about the 2017 Magic Online Championship Series and how to qualify for future Playoff Events here. A Magic Online Championship Series (MOCS) Kaladesh Sealed Monthly Event is coming up on January 22! Players can spend 35 Qualifier Points (QPs) to enter the event. The series will contain 24 Monthly Events, each of which qualify top players for one of the four Playoff Events. These Playoff Events qualify top players for the Magic Online Championship, a Pro Tour, and the Pro Tour Challenge event at that Pro Tour. Monthly and Playoff Events also award top players MOCS Leaderboard Points for the year as a whole. Top players on the Leaderboard at the end of the 2017 MOCS will qualify for the year-end Championship event. We look forward to seeing you on January 22 for the latest Monthly Event! Learn more about the 2017 Magic Online Championship Series here. We're heading into the third week of Season 6 of Vintage Super League tonight! Tune it at 5 p.m. PT on twitch.tv/magic to catch the action live! For more information on Vintage Super League, check out their website here. New Aether Revolt Prestige Avatars are coming! 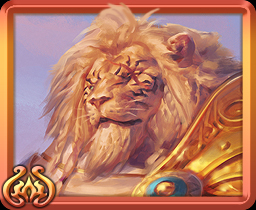 These avatars will be distributed to qualifying players during the downtime where Amonkhet is added to Magic Online. Note that the Standard and Modern leagues that began on January 11 will count for Aether Revolt season. For other formats (Constructed and Limited), activity begins on January 25. Legacy Cube drafts are currently ongoing and will be available until January 25, so join a draft and get your games in! For more information on the Legacy Cube, including card lists and prizes, check here. 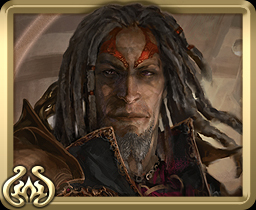 In the Magic Online Player Rewards (MOPR) program, Magic Online players are rewarded for participating in tournaments of a sufficient size, as well as making purchases in the Magic Online Store. Learn about the specifics of the program here. 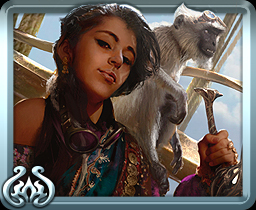 Head on over to our shiny new event calendar at MTGO.com/Calendar for an easy-to-digest breakdown of events happening all across Magic Online.